Known as the “beauty berry” across Europe and Asia, sea buckthorn contains over 190 bioactive compounds that restore, revitalize, and protect youthful beauty – inside and out. Available in skincare products, haircare products and healthcare products this bountiful berry has been used topically and internally for centuries. Topically, these hardy berries help nourish skin, hair, and nails with powerful antioxidants and essential fatty acids, including the rare Omega 7. Sea buckthorn contains the highest Omega-7 content in the industry. Today scientists are touting Omega 7 primarily for it’s anti-aging benefits. It helps control free radicals, is vital for healthy collagen production and contains dozens of skin-nourishing phyto-nutrients including full spectrum Vitamin E, well known for healing and repairing skin tissue. Internally, sea buckthorn can protect against heart disease, cancer, natural aging symptoms, liver damage, sun damage, memory loss, ulcers, menopause symptoms and more. Over 120 specific studies on sea buckthorn have shown that this little berry promotes health and vitality. Even Dr.Oz featured the sea buckthorn berry on his show as a vehicle for healthy weight loss and maintenance. From sea buckthorn’s rare abundance of some of the most powerful antioxidants to being the only plant in the world known to contain essential fatty acids 3, 6, 7 and 9 – sea buckthorn has earned it’s title as a “superfruit”. Fact: It takes approximately 10 pounds of sea buckthorn berries to product 1 pound of oil. Sibu Beauty has developed an entire system of premium health and beauty products made from wild, hand-harvested, fair-trade sea buckthorn. Products include luxurious cleansers, moisturizes, and other topical treatments as well as dietary supplements that beautify and protect from the inside-out. Each product is packed with the maximum levels of Omega 7 and the 190 other bio-active nutrients from the sea buckthorn berry to revitalize, renew, and replenish the body. Weleda, named after the Celtic god of wisdom and healing, develops it’s products based on a passion for beauty, wellness and environmental respect. 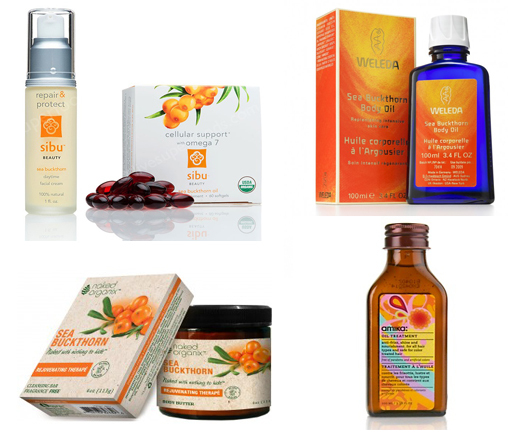 Weleda uses sea buckthorn in products targeted at dry, dehydrated skin. 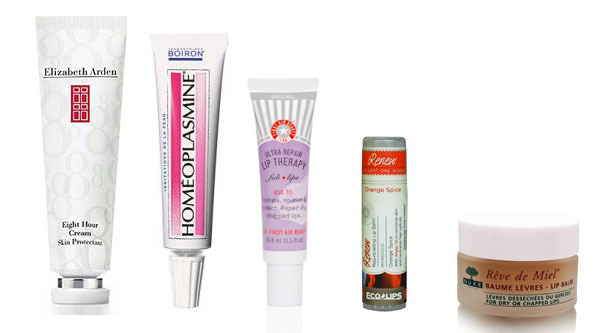 The essential fatty acids replenish vital moisture, while pro-vitamin A and vitamin E soften and protect the skin. Weleda adds sea buckthorn to it’s products to provide thirsty skin with nutrient-rich moisture and added antioxidants and vitamins. Naked Organix offers concentrated, plant-based formulas to protect, repair and moisturize the face and body. Featuring some of the most effective botanical ingredients on the market, their skincare line is hand-crafted in small batches and contain only the finest quality organic, wild-crafted ingredients. Naked Organix uses sea buckthorn for it’s renowned ability to protect and revitalize dehydrated skin and help any skin type appear more youthful and radiant. Amika dedicates an entire line of haircare products to sea buckthorn (also known as Obliphica). The range provide deep conditioning and manageability utilizing pure obliphica oil or sea buckthorn oil. The concentrated formula feeds hair, restoring natural moisture and balance and imparting vitality and health to the follicle. The natural oil won’t weigh the hair down so dull hair becomes enriched and replenished with the it’s natural moisture.